The time of reactive IT problem solving is coming to a close, and with good reason. Between today’s sky-high availability demands and complicated technology, organizations simply can’t afford outages, and especially those that are customer facing. That’s why forward thinking firms are turning towards intelligence for help. 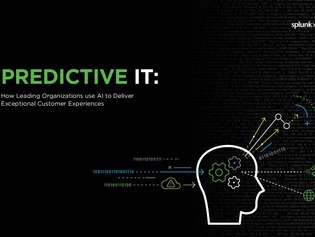 Click to access a collection of case studies that highlight the impact of machine learning in predicting, preventing, and troubleshooting IT events before they have a chance to leave a mark on business continuity – and before they impact customers.